Another Top Ten hit for both Marvin Gaye and the so-hot-right-now Holland-Dozier-Holland trio, all the more impressive coming as it did in the wake of the relative failure of the last Marvin-HDH single, the excellent Baby Don’t You Do It, barely two months earlier. In many ways, this one is something a departure for both Gaye and the writers. Marvin, as regular readers will know, harboured ambitions to be a jazz crooner, a superstar of the supper-club circuit, the next Nat King Cole; possessing no real talent for that genre to match his boundless enthusiasm (at this point, he’d just cut his third LP of standards and show tunes in a futile attempt to try and get a foothold in that market), he seems almost annoyed to have discovered he was actually an excellent R&B pop singer instead.Holland-Dozier-Holland, meanwhile, were on a hot streak the likes of which Motown had never seen before. Stories of their all-night sessions and “production line” approach are legion; anecdotes that have them handing lyric sheets to the singer in the studio while Eddie was still writing the next page, images of three guys who haven’t slept for days, slumped at pianos, or lying on couches, or the floor, surrounded by sheets of paper, pencils behind their ears. But just because they were so prolific, burning the candle at both ends and then trying to light the middle too just to get the thing to burn just a little more brightly, people shouldn’t assume they were slapdash, cranking the machine and churning out the hits. They were serious about what they did. Tasked by Motown with writing Marvin Gaye a pop hit, they set about finding a perfect mix, something that could straddle the worlds of hip-shaking teen pop stardom and eyes-closed soft-jazz croonerdom, and then they kept revising it up to and including the point Gaye had to go and tape his final lead vocal. But they weren’t messing around, and Marvin, a brooding and self-critical character even at the best of times, seems to have responded well to the scholarly approach HDH took to their craft. “I felt comfortable with them. They were very serious producers and I understood where they were coming from”, he said later. The time would come when Marvin Gaye would bristle at being told exactly what to do, especially by three young guys who gave the impression they were making it up as they went along, but for now the partnership worked, and this was by far its biggest commercial success to date. It romped to the Top Ten both R&B and pop, while in the UK (where this was rush-released, leapfrogging several US Motown hits we’ve already covered, to coincide with Gaye’s touring live in England), it gave Marvin his first chart action, unlucky not to land a Top 40 hit. Is it better than Baby Don’t You Do It? No, it’s not even close. For me, this was ruined before I ever heard it by the movie American Pie, in which it’s treated as a kind of cheesy pseudo-standard sung by a school choir, based on the hideous 70s whitebread version by James Taylor, a quintessentially naff arrangement sung in a style and key which really highlights the queasy MOR sheen that lives just under the song’s surface. In effect, HDH did their jobs too well: there’s schlock in this song’s DNA, and while Gaye only hints at its presence, other, less skilled interpreters dug it right on out and rubbed the listener’s faces in it. I’m not marking this single down for the failings of other, awful cover versions. I just mean that the very existence of those other, awful cover versions, the ease with which this can be turned into an MOR staple, highlights the song’s weaknesses in advance. By the time I got to Marvin’s original, I was already sensitive to the self-contained, tune-within-a-tune nature of the chorus and verses that overpower any delicacy Motown and the Funk Brothers bring to the table. We’ll meet two more instrumental covers here on Motown Junkies before we’re done, but even those – not to mention the best version that exists, the Isley Brothers’ eye-opening cover – can’t completely rescue it for me. To me, it’ll always sound like Marvin (or Choker, or Earl) doing an interesting and intelligent cover of a James Taylor song, rather than Taylor ruining a Marvin Gaye song, and I can’t unhear it. Which leaves me in a bit of a pickle, I guess. Marvin is in his heaven here, getting to play both crooner and pop star at once, and it always sounds better when I actually play it than it ever does in my head. But – bass aside – it’s not as good as the Isleys version, it always feels like it’s about to slip into James Taylor at any moment, and – let’s be honest, here – I just don’t like the tune. However well-written it is, however excellent HDH’s intution for creating something with the hallmarks of an MOR standard without it actually being one, it sets off schmaltz alarms in my head, alarms delicately calibrated by thirty years of instinctively avoiding processed cheese and MOR pap. Is any of that really the record’s fault, rather than mine? Is it fair to slag off one of the biggest early hits by one of the greatest Motown artists, just because I don’t really like it? In the end, I don’t suppose it matters too much. Nobody’s reading this in order to find out what the record sounds like; I’m guessing you either want me to love it, or hate it. In fact, it’s neither. I can certainly appreciate the skill and care that went into it, that it’s well-made; it sets out to sound like a cover of some unheard white radio staple, and it manages its task splendidly. And there are things about it I do actually like in an unqualified way. Marvin Gaye is excellent here just by dint of being Marvin Gaye, doing what he does best, which works in the record’s favour, and there’s plenty of little bits of this I’d gladly hear again and again – the bass is outstanding. But the singalong chorus sounds incongruous with the cooler, sparser, more detached air of the verses, parachuted in from some other song, and however many covers there have been, however many first dances at wedding receptions have taken place to it, it’s still just not that good of a chorus. It’s not terrible, and unlike the last Four Tops single, I can see how this could be someone’s favourite Marvin Gaye song. I’m expecting another avalanche of “disagree” votes in protest. But, honestly, this feels like an artefact from some other, cheesier version of the Motown story, and I can’t open up and love it. I could have seen you go either way on this one, but this time I’m (almost) in agreement with you! I’d perhaps raise the rating up a notch, but this disc has always seemed a bit too contrived for my tastes. There’s that catch-phrase title, for one thing, and the almost perfunctory, too-laid-back performance (you’re right — Marvin doesn’t sell this). Still, this is H-D-H, and Marvin, and Motown, so it’s certainly not terrible. I do find, however, that the “I wanna stop!” hook is the most interesting thing in this song — I remember hearing this on the radio and waiting for that bit (I’ve never seen “American Pie,” and now most definitely don’t want to!). I liked this record a lot better before the James Taylor version came out in the ’70’s. I tend to hear this song in my head the way Taylor did it .I can see where Nixon is coming from in that respect. The Marvin Gaye version is not bad, ( I give it a 6). It’s just kind of MOR and in 1964, I wanted another “Can I Get A Witness”/”Baby Don’t You Do it” kind of record. Wow… I’m so sad that later cheesier versions of this song have tainted it for you. Having experienced it when it was first released, I have a huge fondness for this song (translation: I’m old.) To me, this song is an artful mix of funk, blues, jazz, with a large dash of sassiness thrown in for good measure. This is one of those songs where I can revel in listening to a single instrument. The piano, for example, artfully bops and wanders all over the place. if you have the Motown Karaoke version , listen to the “without lead vocals” version and focus on the piano. It’s heaven! The pianist playfully teases by altering the pace – jazz at its finest. The back-up by the Andantes? I love their hold-“Bop!” syncopation. The subtle bass line, periodically reinforced with a gentle breath of sax, provides a firm foundation for everything else. And Marvin’s voice? “Tell the truth, baby!” Sweeeeeeeeet! I also like to listen to Lamont Dozier’s version; it’s revealing to hear a composer’s take on his own song. The 2006 “Temptations” album includes a not bad version that’s funked and brassed up. Then of course there is the James Taylor (assisted by Carly Simon & David Sanborn) version. The Australian band Human Nature gives a try; they have a strong passion for Motown and have covered dozens of H-D-H tunes. And the Isley version offers a raw lead vocal as opposed to Marvin’s sweet, smooth, and silky take. In short: for the world, a song that created a lot of interest. For me personally, WAY higher than a 5! I guess I was lucky enough to have been brought up with most of these 1960’s Motown song’s before they got ruined in the 1970’s or 80,s as some where reinterpreted ,I never did get to see the movie AMERICAN PIE but from Nixon Admin. description of that small part of I “wanna’ STOP!—–Stop—–And thank you baby! the way it was done on the movie and then the infamous James Taylor version came along after that made it so that if you never heard the original Marvin version First.. you might of already have a tainted or possibly a sort of dislike of the song before you would give it a chance!!!!! I Do Agree that that that use to to be the least part of my favorite part of the song as well, But the way Marvin does it on the original version,he brings a bit of silent kind of hook. It was like you where waiting for when he wouldn’t, and surprise everybody ! !as he would sail through the bar with class!!!! The other later versions did the part so bad that it ruined it for the generations that tend to identify this song with The James Taylor or others from that 70’or80’s period!! that just couldn’t get it right!!! That of coarse is in my humble opinion. I wonder if or what would be the out come or various opinions of the song, if those other MOR and other version’s Didn’t happen!!!! I’m thinking that it might Be different!!! After all it was one of the more popular selling songs for Marvin at that time in the Mid 1960’s That should say something..
Saundra Mallett and the Elgins also provide a feminine perspective to HSII on their Darling Baby LP. Their version may not be better than Marvin’s or the Isleys’, but its breeziness emphasizes the heady feeling of someone who’s just fallen in love. I’ve given up trying to guess which of the remaining 1964 releases rates a ten ranking. I thought surely this had a good chance. But then, that’s half the fun of this site. . . . The James Taylor version is really weak in comparison. As for Something About Mary, never saw it. Probably never will, especially now that I know that it desecrates one of my favorites. It’s like Fontella Bass’ timeless classic Rescue Me being defined by Sister Act. These tracks / songs shouldn’t be defined by use in a movie. We just can’t allow that. American Pie 🙂 And it doesn’t “desecrate” this, in the style of Sister Act, it’s entirely respectful – the scene in question is more like something out of Glee, and isn’t played for laughs – but it’s respectful to the Taylor version, and signifies a kind of cultural acceptance of the song’s whitebread Classic Standard status that sends me running. It’s just unfortunate; Robson and Jerome (google them, lucky non-Brits) probably ruined a decade’s worth of bulletproof standards for a generation of UK listeners. I just saw What’s Become Of The Broken Hearted….how can they do that? How can they make a song that’s so special sound so ordinary? (Kind of like what James Taylor did to How Sweet It Is.) You’re right, I never heard of Robson and Jerome. I’m kinda sorry I did. It’s exactly like that, yes. Now imagine *that* was the first version you heard, and then imagine it being played – in that soulless 80s-style plasticky version, cheesy synth horns and synth drums and key changes and all – in your school music class and being made to sing it… you could end up hating the song, right? Anyway, that’s what’s happened for me here. Incidentally, that version went to number one in Britain in 1996. Number one, people. Remember that the next time you’re in England and walk past a stranger in the street – that person might have paid good money for Robson and Jerome records. “Those endless lines he plays are like Moebius strips unfolding in the background. ” Wow, treborij , beautifully put, and true! I too love the piano, which makes the record sound “cool” in a lounge-lizard sort of way. The year would end with the best piano-introduction since “Heat Wave”, the Velvelettes’ “He Was Really Sayin’ Somethin’ “. Never understood why HSIITBLBY went that high in the charts. Totally agree with you. Miles away from One more heartache and Pretty little baby ! *typing on the phone always leads to misspellings and pressing wrong buttons. LOL. I wasn’t finished* Anyhow it seems that I love this song for all the reasons Steve D hates it. The MOR really appeals to me in this simple sing-along song. Songs such as these can make the most lamest loser feel cool — nothing wrong with those types of songs. I always hear this song in commercials and love it everytime I hear it (LOL). I love what HDH did with Marvin on this track. Not only is the drum intro great, but so are the lyrics. The first verse alone is great. This song could be for anyone – –Lover, parents, children, friends etc. Respectful and tender and yes even cheesy this song deserves 10/10. Junior Walker and The All-Star’s version which may even surpass Marvin’s version (still mulling this over)! As usual I went straight to the mark before I read the review, and almost fell out of my chair!. Only a five! Definately an 8 or even a 9 for me. I even like the James Taylor version, and I agree with MichaelS about Junior Walker’s wonderful version.I guess I just like this song. WHAT!?? Only a 5!!! I’ll admit it is very commercial, and not as inspired as some of his songs. But I’d give it a 7, and I’m not a big fan of Marvin or this song. How do some of the Motown novelty “throwaways” get five and this average Motown hit get the same? The average Motown hit in 1964 was a very high quality song. Since you asked: the marks aren’t really relative to each other, but average = midway = five out of ten. Saying “This is average… I’m not a big fan of this song… I’d give it a 7” doesn’t compute for me, because I’m not running a system where readers have to do a little internal calculation to calibrate the score I give on the page against what the “REAL” rankings mean (you know the sort of thing, film and videogames magazines in particular are buggers for this – “anything really good gets 10, anything quite good gets 8 or 9, anything average gets 7, and everything else you can forget about”… well, not here, ladies and gents. All ten increments get used here and I like to think I use them all fairly.) It’s not about marking hard for the sake of it, it’s about marking hard so that when I do give out one of my fifty precious 10s, it actually means something. By the time the Taylor version came along in June 1975, I was into Barry White, Love Unlimited, Gloria Gaynor, the Trammps, the ChiLites, the Moments and the Philadelphia International roster of artists. I avoided much white wimp rock. I don’t remember seeing American Pie more than once, took it for the Porkys of its age, and left it to amuse the lowest knuckle-scrapers in the fraternity, to whom it belongs. And, blessedly, I don’t remember this song in it. I can’t help but like this, really, and can’t put it below a 7, but for me too, it is not my favorite of Marvin’s Production Line-period. “Little Darling I Need You,” another great teaming between he and HDH, though it only did a fraction of the business of this, is one, for instance, I like a whole lot better. It’s irksome to me that “How Sweet” rests higher in the public consciousness and esteem while fine nuggets like “One More Heartache,” “Take This Heart Of Mine,” “Your Unchanging Love” and “Pretty Little Baby” go greatly neglected. But Motown liked the music of cash registers too, so this surely pleased Berry, Marvin and HDH just fine. I agree. I like “Little Darling I Need You,” and “Your Unchanging Love” much better than this one. Yeah pal. I like those 2 songs pretty well myself. Though “How Sweet it is” isn’t too shabby. The Doobie Bros did a good remake of Little Darling back in 1977. Tyrone Davis (who I really like) did a surprisingly dull version of “How Sweet It Is” in the early 80s. I do like Jr Walker’s party it up version. As for James Taylor’s version… well the less said the better. that I meant to pass on to you guys sooner. I have to agree with Nixon on the rating..as I’ve said before these are just numbers and these songs are really what they mean to the individual.. For me..I was tired of it after a few plays …and I’m a huge fan of both Marvin Gaye and HDH! What was to come later from this team I still love now ie; ‘Little Darling(I Need You)..’Your Unchanging Love” “You’ve Been A Long Time Coming”..B side of “I’ll Be Doggone”. I’m lucky enough never to have heard the James Taylor cover or indeed any non-Motown version, therefore my opinion of the song is untainted. An Olympic Bronze Medal-winning performance. 8/10. Yeah, it’s odd for me that the James Taylor/American Pie versions feature so prominently in the review. There’s plenty of awful Motown covers; those don’t or shouldn’t detract from the merits of the originals. That said, I echo some of the sentiments expressed above. I agree it’s probably nobody’s favorite Marvin Gaye song. But it’s still a very good. I listened to the acapella version — Marvin’s voice and the backing vocals are divine, so clear, almost ethereal. I listened also to the instrumental version, which really demonstrates not just the peerless craftmanship of the Funk Brothers, but also their artistry. The piano on this track gives me chills! Who is playing keys? Also, more attention should be given to the lyrics, which are poetic and vulnerable in a way that those of us who have been rescued by love easily recognize — or is that Marvin’s relaxed, soothing delivery? Not sure, but it works. 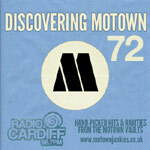 More than many other (i’d say better) Motown hits, this song really shows off the label’s sophistication and professionalism. Doesn’t quite come together and seems somehow to be less than the sum of its parts. Don’t love it, but I like it a whole lot. A comforting and relaxing hit. 7/10. On why I spent so much time going on about rubbish covers: as per the Robson & Jerome digression above, it’s more a case of the song being ruined for me personally by hearing the naff cover first; I’ll never know what my reaction might have been if I’d come to this in the “right” way, but – to me, anyway – there’s a kind of inherent crowd-pleasing cheesiness that’s always been part of the song, and so the unarguably better, cooler original still can’t quite get away from that. During Marvin Gaye’s promotional visit to the UK for “How Sweet It Is”, EMI held a reception for Marvin to which members of the Tamla-Motown Appreciation Society were invited. Harvey Fuqua gave a performance there but I can’t remember whether he sang “Sincerely” or “Ten Commandments of Love”. If anyone else who was there reads this, could they please let me know which it was. Wow! You got to see Harvey Fuqua. How cool is that? I feel like Mr. Fuqua is one of the unsung heroes of R&B/Soul/DooWop/Motown music. I do hope you are having a great day my friend. Sorry I didn’t reply to this. I try to read every comment I see in “Recent Comments”, but missed this one. I found myself more fascinated with your review than I ever was with the record. on finally finishing the landmark year of 1964. I can’t believe you are still hanging in there, but thanks. It’s a thorny one, the “what if” that arises every time I encounter a song that I’ve already heard in another version; “Dancing In The Street” sort of survived that process, but even then I had to do a lot of jet-blasting of accumulated grime off the song in order to make it shiny again. And about hanging in there… Three years next week, and I’ve never thought about quitting. In fact, the nature of the blog – where I get to write from a very specific, personal perspective, and then read other people’s similarly individual reactions to this stuff, is what keeps me going, when I might have otherwise got bored after 80-odd reviews of “It’s good, but not great. 5/10” and no comments. The fact I get to be so subjective (and read others doing the same) is the same thing that keeps it fun. That, and comments like yours. So, thanks again. I must admit at first that i was shocked and dismayed at your ratuing and review. I thought “how could someone so musically inclined make such silly statements?”. Then i re-read the review and realized that i was not only being overly defensive not only about the music but the memories as well. So please except my most humble apologies. That said—this has always been one of my favorites but the Isley’s wiped the floor with Marvin!! I only discovered Motown Junkies about 18 months ago and so I’m still working my way through the reviews and some of my comments are a little late coming. However, I feel I must make a late comment on this masterpiece as I was so surprised at the low mark given by the reviewer. What amazes me is that you can give The Supremes ‘Baby Love’ 10/10 and this only 5. In my opinion this recording is superior in every way compared with ‘Baby Love’. The song has a more intricate melody, the lyrics meaningful and mature, the production and arrangement are near prefect, the only two elements I would say ‘Baby Love’ is comparable with. But melodically ‘Baby Love’ is too repetitive and lyrically it’s about as banal as Ohio Express’s ‘Yummy Yummy Yummy’. So I can’t understand your marking here. I noticed somebody else has commented on the brilliant piano playing throughout this recording which is to me astoundingly good. I never cease to marvel at the brilliance of some of the musicians who seem to be able dream up these marvelous accompaniments with ease. The finished product has a wonderful sense of relaxation and contentment and always makes me feel good after listening to it. First, I don’t know if I’m more shocked that this only gets a 5/10 or that so few commenters are piling on to defend it. I never saw American Pie and hadn’t heard James Taylor’s very much, so (luckily for me) the Marvin Gaye version is the one I had in my memory banks and in my subjective mind it has “timeless iconic classic” written all over it. Of course, we’ve all come to grips with the fact that it’s impossible to be objective when comparing a song that falls into the “soundtrack of my life” category with a song we’re just hearing for the first time, so for that reason I can conceive of this not being a genuine 10/10, and if I strain hard to be cold and objective, I can also build up a half-hearted argument that it could be so much better if it had a Valerie Simpson-esque bridge, but I still have a hard time thinking of it as anything less than an 8/10 when listed alongside the other ratings in this survey. My other issue with the review is this: “The worst moment, in this or any other version, is when the lead singer says I wanna stop! and the backing vocalists all pile in on the word Stop!, and there’s a sudden dead air stop”. Having been spared ever seeing the American Pie movie, I looked up the scene on youtube and it is indeed appalling – I can see how it could have ruined the song for you. But then I looked up James Taylor’s version on the 1975 album, Gorilla. It doesn’t have the “stop” backup vocal answer at all – it does, as you say, have an extended break, but it’s followed by a great drum fill. Russ Kunkel is hardly chopped liver as a drummer. I prefer the groove of the original, and I greatly prefer Gaye’s vocal to Taylor’s – but to compare Taylor’s version to the movie version is brutal. If Taylor and Carole King had written the song in 1975, I think it would have been a pretty good track – it really sounds like something they’d write and it’s only the existence of the original that makes the Taylor version seem weak. But my biggest disagreement with the review is that I ADORE the way “stop!” is handled in the Marvin Gaye version. My first reaction as I listened was “now THAT’S what I’m talkin’ about in terms of backup vocals”. I had been whining about the Supremes backups being way out of tune a few tracks back, but THESE backup singers are the real deal and the interjection of “stop!” on the backbeat really knocks me out. Try listening to the whole track focusing on just the backup vocals and piano – there’s some sort of glistening musical gem every few seconds. I also like the Isley version and agree that its treatment of “stop!” with the dropout is wickedly effective, but even though it’s rawer and more aggressive, the original is my favorite. I would give this one a 10, as would most people!!! And I *love* that “Stop!” break. Marvin’s vocal is pure cream, in the best sense. The band couldn’t be better, and neither could the song.